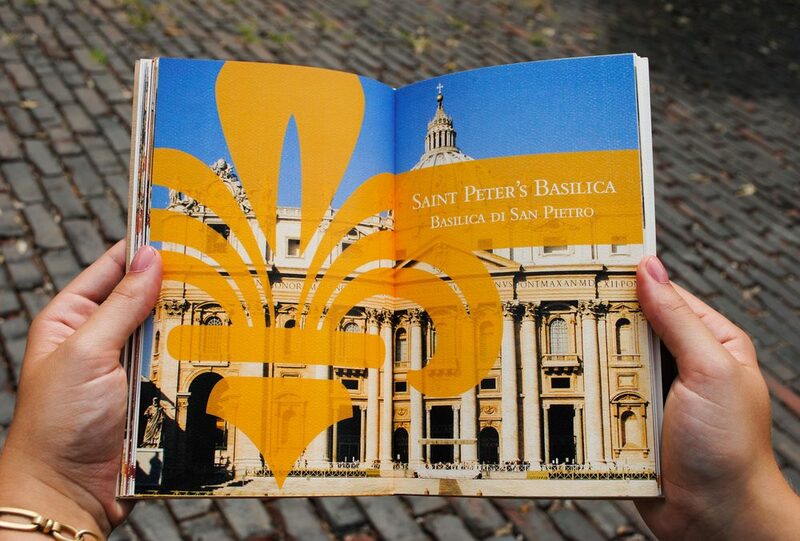 Guidebook designed for American students traveling abroad to Rome. 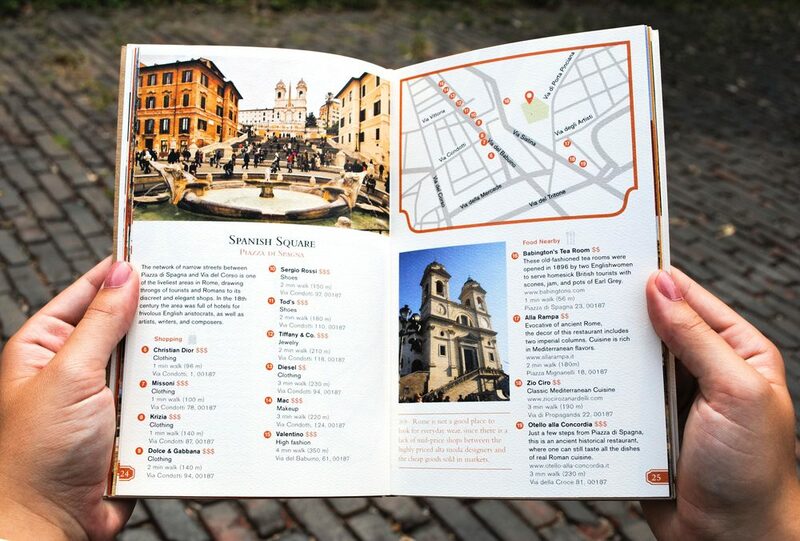 The book is organized by category and tourist site so students can easily find the location they are searching for. 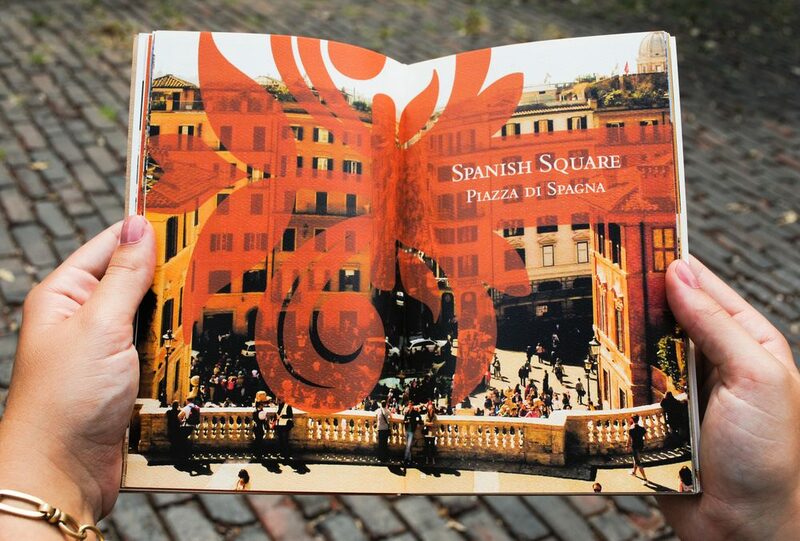 The pages rely heavily on imagery of iconic destinations as a wayfinding tool for students who do not speak Italian. 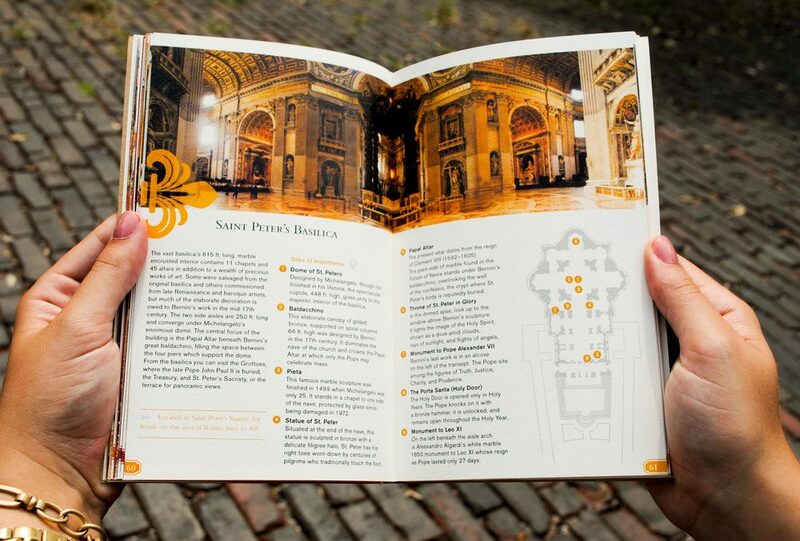 Each tourist site contains a map as well as information about food and proximity to other sites. The cover features a wrap-around that when removed provides an inconspicuous "notebook" feel. To view the whole book, click here.